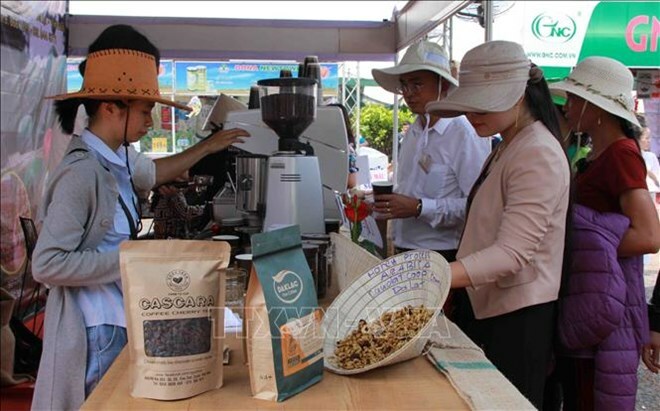 Hanoi (VNA) – The Ministry of Industry and Trade (MoIT)’s Department of Asian-African Markets will hold a trade promotion trip to South Africa to display goods at wholesale and retail supermarkets from May 8-16. Accordingly, the Vietnamese goods will be introduced at wholesale supermarket chain Advance Cash & Carry and retail supermarket Shoprite. Via the event, Vietnamese firms will have a chance to meet South African importers to boost exports to the country, focusing on farm produce, processed food, confectionery, beverages, aquatic products, apparel, household appliances, stationery, leather, and footwear. The delegation will survey the market and conduct trade with South African enterprises. Head of the West Asian-African market office Nguyen Minh Phuong said South Africa is the most developed country in Africa in terms of socio-economy and politics, as well as now being the largest trade partner of Vietnam in the continent. Two-way trade surpassed 1 billion USD last year. Nearly 742 million USD of which was Vietnamese exports, mostly mobile phones and spare parts, machinery, peppercorns, apparel, footwear, iron and steel, cashew nuts, wooden furniture, chemicals, vegetables, and rice. Vietnam spent 386 million USD on imports from South Africa last year, including plastics, metal, vegetables, apparel and footwear materials, chemicals, iron and steel, machinery and equipment, spare parts, coal, ore and minerals, chemicals, cotton, and rubber.